I'm sure you've all noticed that my hairstyle and color have changed since the new year began. I traded in my long curls for an effortless lob (long bob) and worked in some balayage to soften my complexion. For those that have known me for years, I have always sported a highlighted look, thanks to the sunny beach vibes of growing up in California. It was a look that suited me well, especially for my light to medium skin tone. Just two years ago, I finally decided to give my hair a break and went back to my natural dark brown hair color. It looked and felt incredible, shiny and healthy ... which left me wondering why I ever changed my hair in the first place! I often think that a new hairstyle represents change we want in our lives. Something to kick off a new journey or chapter we're about to embark on. Or it could simply be because we're bored of the same hair routine, day after day. Whatever the reason may be, I think it's a positive thing to incorporate change every so often, to keep our souls inspired and constantly evolving. I was feeling in a rut at the end of 2017 and switching up my look was a way for me to take that first step into becoming a better version of myself, physically and mentally. Can anyone else relate? I was very happy with the new "me," but my hair unfortunately took a toll from the balayage process. It took two color sessions and an added glaze of mocha brown to get the ashy blonde/brown highlights that I wanted. My hair was left very dry and brittle, with split ends up the wazoo! Luckily, through a few hair care recommendations from my colorist and doing a little research of my own, I was able to restore my hair to a much healthier state! Cutting my hair even shorter didn't have to be an option because I finally had products that came to the rescue. L' Oreal Paris Elvive Color Intensive Protective Shampoo: This shampoo really helps to repair and hydrate color damaged hair, while doing an excellent job at maintaining your color. For a drugstore brand, this shampoo is quite impressive. UNITE Hair Blonda Purple Shampoo: I use this purple shampoo every 5-7 days to preserve the ashy tones in my blonde hair and to prevent brassiness to the highlighted strands. If you have blonde highlights, you will most definitely want to add this in your line-up. 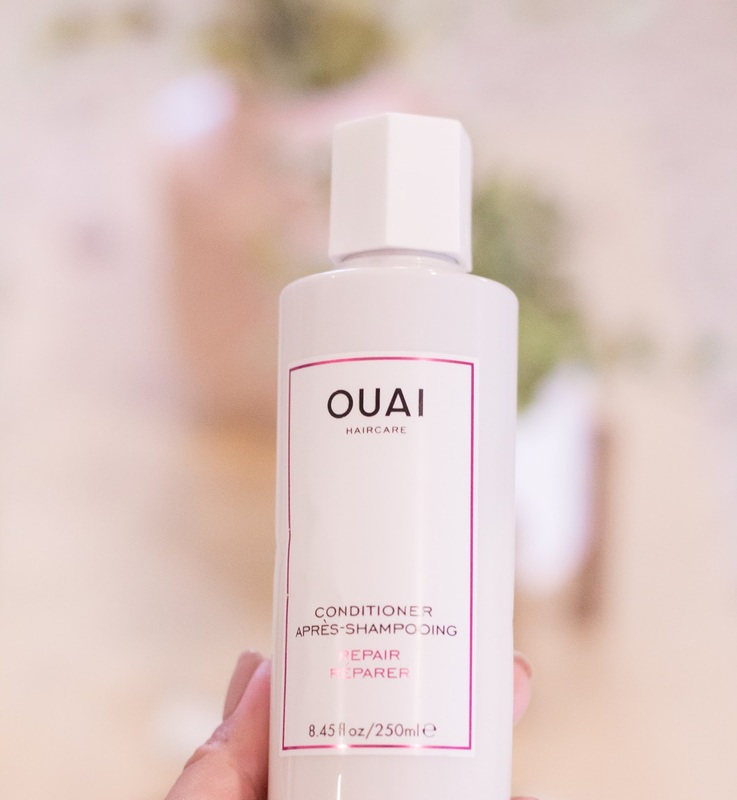 QUAI Repair Conditioner: To increase the intensity of hydration, I decided to try this conditioner, which I'm pleasantly enjoying right now. It has a lovely scent that makes your hair smell amazing! I feel it has helped to mend the damage at my ends, without leaving my hair feeling weighty or oily. It's a 10 - Miracle Leave-In Product: This might as well be the BEST product for repairing damaged hair. My hairstylist in Las Vegas highly recommended this product as the answer to my split-end problem. She told me it would work wonders and it absolutely did! If there is one product that made the most impact on my hair, it is this leave-in product! It conditions, repairs, is a heat protectant, and does so much more! I use this every other day after washing my hair and it's truly the best! MorrocanOil Treatment Oil: Once my hair has been dried and styled with a flat iron or a 1 inch curling iron, I smooth out my ends and any fly-aways with this amazing hair oil! The whole MorrocanOil line smells incredible, but their hair oil has been one of the best I've tried. It finishes off my hair beautifully without weighing it down. Another product I highly recommend! Living Proof Perfect Hair Day Dry Shampoo: Since I love the volume I already have with shorter hair, I just add a light mist of this dry shampoo to my roots onto second day hair as an instant refresher. I've tried my share of dry shampoo's and this has been my favorite thus far! UNITE Texturizing Spray: To maintain volume at the crown of my head for half-up do's or the occasional top knot bun, I like to spray this texturizing spray for just the right amount of volume and hold needed to get the hairdo I want. It provides a light hold that doesn't leave a residue behind, which I really like. I want to give hair masks a try in the future to help keep my hair looking it's best. So, if you have any recommends, please share them in the comments below. I hope you give these products a try and have a beautiful week! We had a good taste of Spring over the last couple of weeks, which we've really been lucky to experience this year. 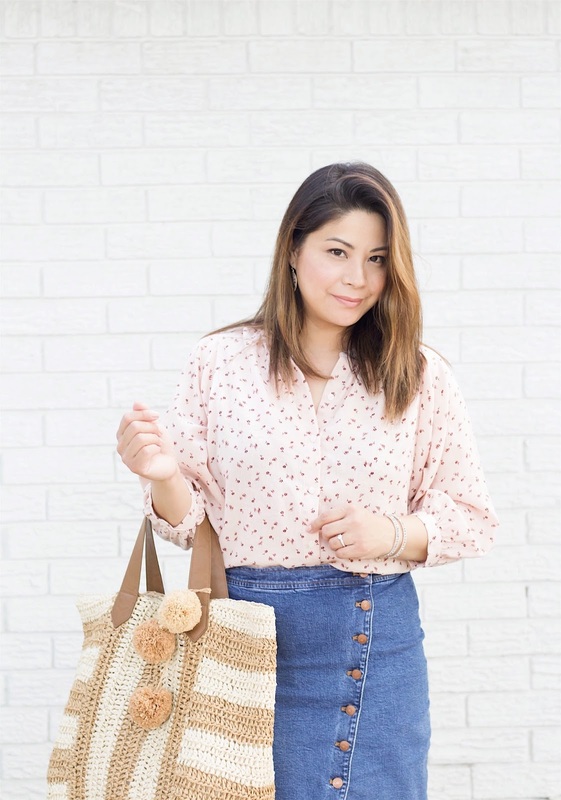 The weather has been all over the spectrum over the past several months, but planning out the perfect Spring wardrobe makes warmer days seem a whole lot nearer. 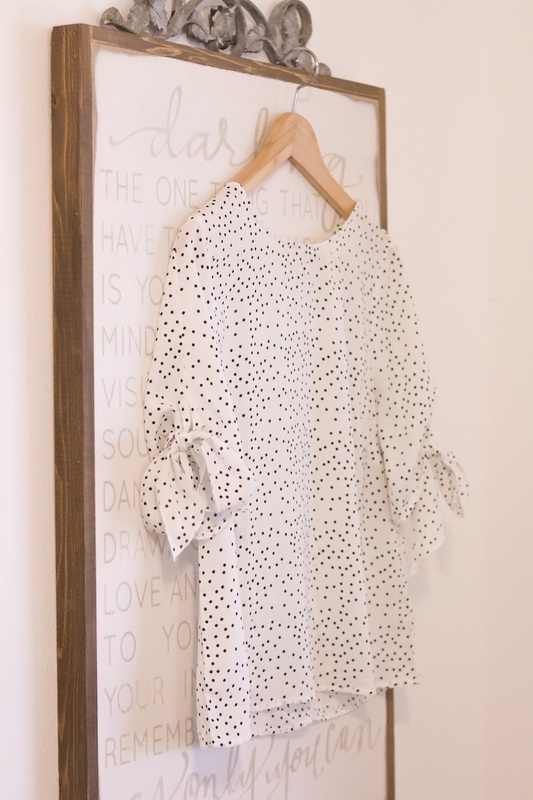 Amidst my busy schedule between kiddos and home interior projects, I've managed to work on a new Spring wardrobe with dreamier pieces that would transition into Summer. 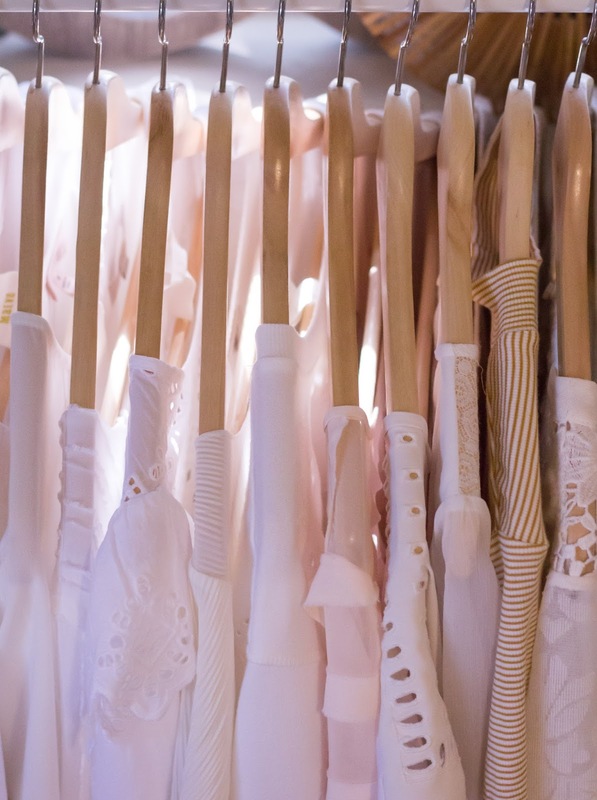 Shades of white and classic romantic patterns have made it's way back into the mix. And my new favorite colors of the season?! Blush, Dusty Rose, and Saffron Yellow pop up in this all neutral color palette! I've also started a small collection of graphic tee's, which I love pairing with flowy skirts to keep the look quite whimsical. I've been enjoying high-waisted bottoms as well, having most of them rest at the highest part of my waist. It keeps you tucked in snug, while adding length to your legs and flattering your pretty hips. 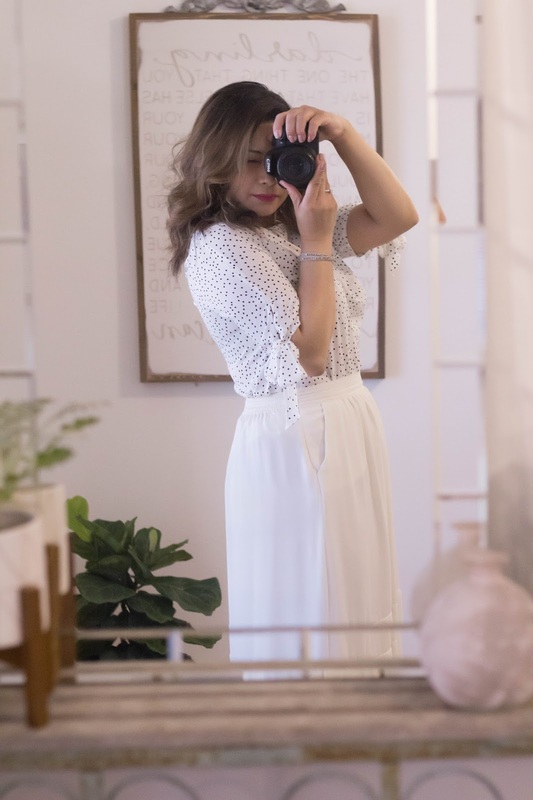 My whole philosophy to this years Spring wardrobe is really a desire to look girly & romantic, while feeling incredibly casual at the same time. 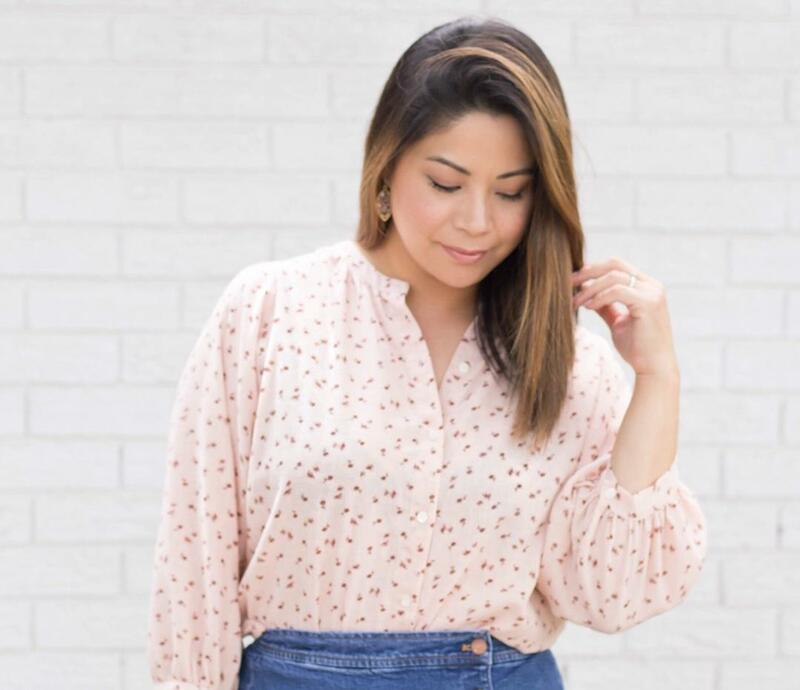 I like to wear a happy balance of beautiful details, like eyelet or polka dots, with casual fabrics, that make a look effortless and perfect for everyday. With that in mind, here are some of the lovelies I've picked up lately, with much more on my wish list. 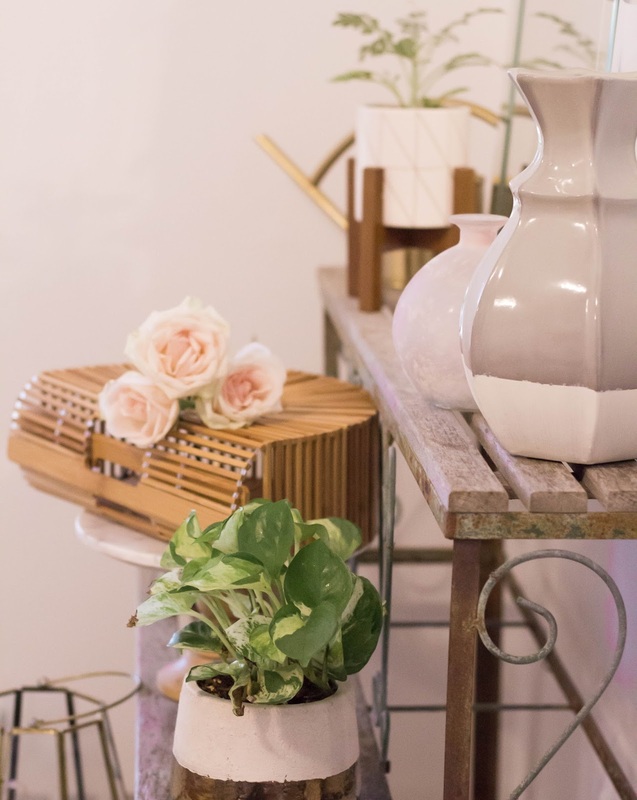 What are some spring trends you've been loving this season?! I'd love to know in the comments below!